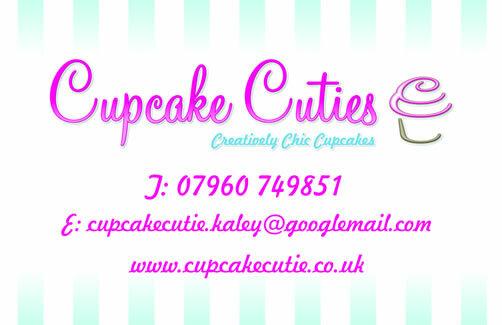 If you are looking for some unique stocking fillers for your friends and family , then we at Cupcake Cuties can provide tailor made cupcakes individually boxed for you to add to the festive stockings. Where oranges are the thing of the past , cupcakes are most certainly the thing of the future. We can personalise your cupcakes with names of your loved ones, or we could make them festively themed. 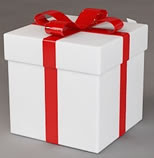 The Christmas stocking fillers at cupcake cuties are perfectly wrapped in Christmas ribbon. 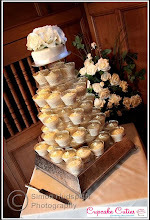 A Christmas Cupcake tier will be a perfect centre piece on your table at your Christmas party. 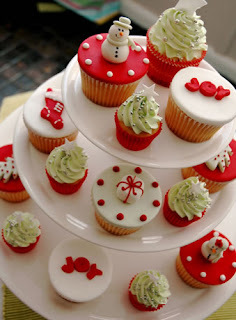 We can provide cupcakes with many festive designs. Simply contact a member of our team on 07960749851 to discuss the designs you would require. Cupcakes are extremely versatile leaving creativity of choices down to yourselves. We can add the following designs to your cupcakes : - Snow men , Angels , Snow flakes , Santa Clause , Holly , Stars, Christmas Trees and BaublesWe can include - Snow effects or simple Chritmas Sparkle!! !Buttercream colours can include – red , green , white , blue. Or if you prefer we could use the fondant icing as above in the picture. 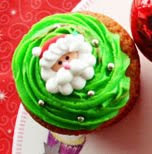 We can also create classy Christmas cupcakes without the novelty designs, please contact us for details.